I had an ex-girlfriend who loved The Beatles’ “Hey Jude.” She’d find it on the radio every time and crank it up and sing along. That kind of saturation can sort of ruin the charm of the song a little bit. 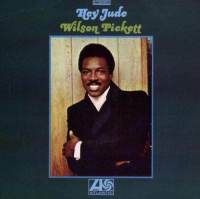 I still know it’s a brilliant and easy-to-love tune, but these days I prefer Wilson PIckett’s voice. I think the song itself, regardless of the performer, has that wonderful message of letting someone into your heart. If you can’t take that step, then what’s the point, right? I hope my ex listened to it a lot when we broke up. Things went sort of weird with the fallout, but it was all for the best. I know she eventually made her sad song better. It couldn’t have been too hard. She preferred the easy version. Not the one with soulful chaos ranging in the background.